What does it really take to “learn to live together” in a just and peaceful world? AFS Intercultural Programs, in partnership with leading global education advocates, is convening a first-of-its-kind conference to make global competence an international priority. Explore the role of global competence in achieving the Sustainable Development Goals (SDGs) through presentations, case studies and experiential learning activities. Attendees will gain new ideas and tools to leverage global competence to achieve the SDGs, and participate in small group discussions, role-plays and design thinking to grow their own critical thinking, problem solving and decision making skills. The new PISA tests are starting to assess global competence of teenagers worldwide for the first time this September, which has created a need for teachers and schools to get more training and support at all levels, from policy-setting to practical implementation. Join this workshop to learn more about the PISA Global Competence Framework: why and how it was developed, what it will measure, its key challenges and opportunities. Get a hands-on experience using several tools for educators to create curiosity for intercultural learning and help their students develop these key skills within classrooms, including the AFS Global Competence Readiness Index for Schools, a new self-assessment tool to help educators determine how prepared their schools are to foster global competence among students. This workshop will help you learn about the Budapest School and how we structure learning in our unique environment: learning from experiments, focusing on life skills over testing and national standards. We will introduce design thinking techniques and invite you to help us design a modern, personalized, experience-based, diverse and globally ready school environment for 12- to 18-year-old learners, building on our current experiences of working with children up to age of 12. The main conference sponsor, BP is opening its office doors for a field trip and training. With 2000+ employers from all around the world, the BP office in Budapest is a truly diverse work environment. Participants will get a chance to visit the office and have a taste of BPs Diversity in The Workplace Workshop. The participants will learn about the training portfolio of BP which helps employees to grow their global competencies (agility, flexibility, networking and communication skills) and get introduced to the vibrant social life of the Hungarian office. The workshop will end with getting to know some interesting facts about Hungary. Are you interested in growing your own global competence to in turn support your students, co-workers or clients? Become a Qualified Facilitator of the Global Competence Certificate (GCC), a unique program that combines in-person and online learning to help people preparing for an experience abroad (study, volunteer or work abroad) to develop interculturally. This workshop will help you understand the development, interpretation, and methods for using the GCC to create an implementation plan. The Qualified Facilitators workshop is open to AFS and Sentio staff/volunteers and external licensed colleagues who are trainers, consultants, coaches, faculty and staff who want to use the GCC. After completing the workshop and submitting a reflection assignment, attendees will be awarded a certificate of completion and a badge to add to their LinkedIn profile. Prerequisite: Complete the GCC curriculum online, in advance of the session. What do global competence development, preventing early school drop-outs and teacher education have in common? The Knowledge Management Unit of the Tempus Public Foundation will present an overview of the results of their three international projects in this interactive workshop. Participants of the workshop will learn how emphasizing respect among students and teachers in schools, incorporating cultural diversity in the curricula and applying various forms of learning cooperation improve the learning outcomes and enhance the integration of disadvantaged groups. We will lead a discussion on how these factors impact the quality of education and the role of teachers’ professional development. 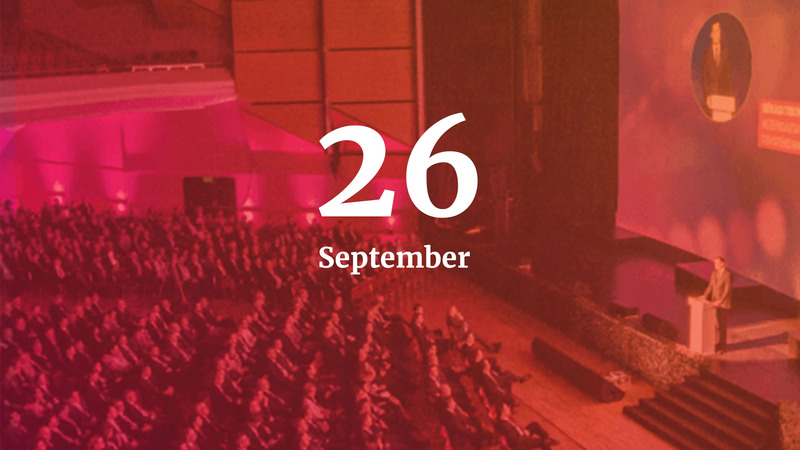 The opening session will set the framework for the conference: Why global competence is the essential 21st century skill required to develop and execute solutions that successfully address the world’s most pressing challenges and leverage our greatest opportunities. Whether participating in a global economy or reducing conflict in diverse settings, research shows that innovation is fueled by new ideas and different perspectives. Global competence harnesses the power of working across differences to spark much-needed creative solutions. State of Global Competence and How Do We Move Forward, Together? Preparing young people for employment, being active global citizens, and thriving in a diverse world calls for reshaping the agenda for education. Panelists will define the roles that key stakeholders must play—governments, education authorities, social entrepreneurs and the private sector—to integrate global competence into teacher training and curricula development at all education levels. This panel of interculturalists will share and discuss theoretical foundations for developing global competence, and present two concrete applications from the field. Dr. Mick Vande Berg, a leading and award-winning interculturalist, will share three conceptual frameworks based on the latest intercultural research. Both AFS Intercultural Programs and Ashesi University will show how they used the latest research to develop global competence programs that are grounded in this research, and that address unique needs of both institutions. Global competence development efforts in education are most effective when they consider the realities and expectations of all stakeholders downstream in the global workforce. Learn about the worldwide research-based definition of “global competence” and the Global Competence Model™ adopted by educators at all levels (primary, secondary and tertiary), businesses, governments, and nonprofits. Understand what a “competency” is from an HR expert, how these constructs are used in the workplace, and why global organizations need students and educators to develop global competence. Celebrated on the Tuesday following the widely recognized shopping events Black Friday and Cyber Monday, #GivingTuesday kicks off the holiday giving charitable season, fuelled by the power of social media and collaboration. In this panel discussion, hear from country leaders championing #GivingTuesday movements around the world to develop innovative ideas for your educational institution, explore the role of leadership in campaigns engaging youth and collaborate across organizations and sectors. Several organizations and initiatives support schools and business in Hungary in global competence development and education processes. This panel, composed of four representatives working with different target groups, will share their innovative approaches and best practices gained while training and supporting elementary and high school students, teachers, university students and employees in developing global competence in Hungary. You’ll walk away from this session with concrete ideas to use in your context – whether it’s a classroom, lecture hall or an HR department. In this workshop, participants will gain a better understanding of the perspectives of all the stakeholders that defined global competence, through a simulation exercise. Participants will also learn about the research results from an ongoing study of 20+ years on global competence. They will engage in an open dialogue and share reactions to national and cross-border trends for global competence development from their professional experiences. The session will be based on a case study of “Let’s Be Tolerant,” an educational project that fosters the learners’ creativity using ICT tools in environments of respect and acceptance of the others. This program encourages bridge-building, intercultural dialogue, religious tolerance, gender equality, and promotes the values of peace, solidarity, friendship and partnerships for security and sustainable development. Participants in this session will learn how to implement global competence and media literacy in their curricula. This unique, interactive workshop will raise awareness about the potential of digital intercultural exchange and how it can help in developing social-emotional skills of the students. Attendees will participate in a simulated dialogue on an important global issue and learn about innovative game-based assessment of key social-emotional skills such as communication, perspective taking, collaboration to name a few. The participants (teachers, students, researchers and NGO representatives) should bring their own devices for the workshop. A discussion on how to become self-aware, set realistic goals and structure work-life balance. What are the real and perceived boundaries, gaps, and soft-skills needed to overcome, bridge and fill different gaps in personal development, including cultural, digital, educational, financial, generational, gender, ideological, linguistic, political, racial and other gaps? What is the role of the family, community, school, university and workplace in facilitating and nurturing soft skills? Kleur Bekennen is a governmental education program on global citizenship education in Belgium. During this ‘Idea Date’ we will reflect on what our role as a governmental program could be in the future. A role which is complementary and facilitating for the many non-profit actors, the education sector and the research field. We are interested in good practices, innovative ideas, strong opinions. We will use the input for the creation of our new program 2019-2024. Uncertainty is scary for people and societies. We build certainty by future-proofing the way people earn money. When a lawyer competes with AI, a shopkeeper competes with the global supply chain, and construction workers in Liverpool compete with workers from Bucharest, the only competence that matters long-term is global competence. Join us to learn how to build resilient, entrepreneurial mindsets and flexible, competence-based education systems for a workforce ready to withstand 21st Century storms. What Funding Format Makes Your Global Competence Project Fly? Come and share the issues you are facing today with the funding available for projects promoting global competence. Let’s find solutions on how the funding opportunities could be better structured and promoted. All participants will go home with an idea on what type of funding to advocate for! The interactive session will present a ready-to-use tool to help primary and secondary school students understand the concept of identity, widen self-awareness, promote solidarity and respect. Session participants will become better prepared to foster global competence, have a broader range of activities to implement with their students and learn a new practical activity. Participants will also explore a website on intercultural learning and intercultural competences, implemented within the Erasmus+ Project. The UN Global Goals call for action by all countries to promote prosperity while protecting the planet and are the perfect framework for incorporating global competence in the curriculum and lesson plans. In this fast-paced idea session, teachers will build their own competence as they determine which Global Goals are meaningfully connected to their instruction, and collaborate to integrate the Global Goals across grade levels and subjects. Join us for thought-provoking interviews with leaders from various fields at the AFS NOW. Our distinguished guests in this episode include Tracy Moxel, Ankit Kawatra, and Péter Halácsy. They will join Melissa Liles, Chief Global Engagement Officer at AFS Intercultural Programs to talk about tools and innovative methods in empowering educators and students around the world to become globally competent. Educators have the responsibility to help students become globally competent and the changemakers of tomorrow. This session will present several case studies and best practice examples of how global competence development can be made a part of the school curriculum by providing various learning opportunities to students. Such opportunities help students to delve deeper into local and global issues, act for sustainable development, lead to deeper awareness of one’s own culture and of other cultures and equip them with 21st century skills. In this interactive workshop we will try out and discuss activities, processes and samples of classroom language that promote community building in both classrooms and staffrooms. Creating and maintaining cooperative and empathic communities may be one of the first steps in developing competences that are in line with 21st century expectations from students. This interactive session will briefly present the student and faculty experience from a study abroad course at a U.S. institution to Cuba. The course incorporated the Intercultural Praxis Model defined by Kathryn Sorrell, and encouraged students to situate their current knowledge, challenge assumptions, and pose new questions. Attendees will participate in various activities from the course to simulate how critical pedagogy can be merged with intercultural development. The panel will investigate the policies and funding available at national, European and international level to promote global competence. The discussion will start from the findings of the study by CONCORD “Global citizenship education in Europe – how much do we care” and then look at what the European Union and other international institutions see as the future priorities and funding in the field. AFS organizations in the Caribbean Region developed and implemented a teacher exchange program for six years called “Educadores con Causa.” This program will be presented as a best practice example for non-formal education of teachers and an expansion of the formal education sector. If you really want to be diverse and inclusive, you need to work with expert organisations who have the skills, experience and network to work with underserved communities. This session will present a success story about how this kind of fruitful corporations can broaden our reach and can help us learn a lot about working with immigrants, underserved people and people in poverty. What are the greatest needs in our school communities today? How can we involve young graduates to take an active part in meeting them? This poster presentation focuses on an initiative of empowering young graduates to develop and shape the knowledge, skills, attitudes and aspirations of not only elementary school students in Hungary but their own as well. It is a conversation about humility, leadership, intercultural learning, and impact, all of which are key to developing global competence. In this panel discussion, Teach For All and Teach For Armenia will share how this global network engages with their stakeholders to co-create and work towards locally rooted and globally informed visions for student success. The discussion will define a vision that is both grounded in the local context, history and culture of a community and informed by preparing our students to be globally competent and by learning from outside one’s community. The CEO of Teach For Armenia will share how the organization has worked to integrate this vision into all aspects of its work to recruit, train and develop their teachers and leaders. Additionally, a Teach For Armenia teacher will share how she is implementing a locally rooted and globally informed vision for her students and how global competence plays a role in this vision. Academic discourse on interculturality is often based on nation states as cultural containers. This creates a paradox: while trying to overcome cultural differences, this type of discourse also reinforces differences. This session will present a different paradigm which focuses more on a cross-cultural model and a cooperation-based approach by finding and creating commonalities. Join this poster session and learn about Transculturality, its theoretical foundations and the role of individuals. Young people need global skills, knowledge and understanding to thrive and develop meaningful connections with others no matter where they live, study, volunteer and work—now and for their future. Schools play a key role preparing youth to participate in our complex, interconnected, diverse world and AFS has developed a tool to help them do just so. The Inspire Citizens Lesson Planning Framework for Global Competence is a tool teachers can incorporate in classrooms immediately. Exploring the OECD PISA global competence indicators, teachers will actively collaborate and tackle global competence indicators. Teachers will learn to design subject-specific or interdisciplinary projects that address the UN Sustainable Development Goals, link to disciplinary standards, and meet content objectives for collaboration, communication, and formative assessment. This poster presentation will stimulate a discussion about the challenges and opportunities for embedding global competence into the education of students between the ages of 8 and 19. Presenting three interlinked narratives dominating our future worlds, it highlights a set of strategies for implementing global competence education. It then presents a series of questions about the key contextual challenges faced by educators as they develop and deliver education on global competence in their setting. How to promote educational reform when you are facing resource limitations? The Gira Mundo (Portuguese for Spin the World) Program offers a response to this question, by promoting international partnerships with institutions for teacher education in countries that are leaders in education. Join this poster presentation to learn from the Gira Mundo case study. A human development and family studies undergraduate program in the U.S. recently undertook efforts to internationalize the curriculum. Participants in this session will learn about trainings that faculty members took to prepare for internationalizing their curriculum, practical ways to internationalize a curriculum, and empirical evidence demonstrating that increased exposure to international content is associated with increased intercultural development. This poster presentation will define intercultural competence and explore assessment tools for measuring and fostering it. It will also present research on the outcomes of faculty training on students’ intercultural competence gains. We will showcase best practices in mentoring intercultural learning in education abroad, by presenting evidence from a recent program evaluation that compared two different for-credit models of virtual mentorship for long-term study abroad students with a control group of students who studied abroad without support. This data echoes the findings of recent published studies that argue that mentorship is one of the most important factors in intercultural development in international education. Being globally competent or culturally fluent are key skills in an increasingly interconnected and globalized world and crucial to tackle the challenges of our times and to achieve the United Nations’ Sustainable Development Goals (SDGs). This poster will present Effect+: local youth-led workshops that gather young people, especially between 14-18 years old, to reflect on global issues and determine how they can work together to help advance the United Nations Sustainable Development Goals (SDGs) in their local communities. The poster presentation will demonstrate the result of a study that investigated how foreign students in Colombia develop intercultural competence. Participants of the study developed elements of intercultural competence such as attitudes, communication skills and cultural knowledge. We will also present which elements of intercultural competence were important for participants themselves and those that they used in intercultural contexts. An educational institution’s commitment to global competence does not only show in its curriculum for students. The organizational culture, environment, human resource strategy and core values are equally important. This session will focus on the management’s vision towards fostering a conducive organizational environment for global competence learning. It will outline the four steps that ensure an institution’s focus on global competence delivery through staff, service, curriculum, and culture. How to set and achieve collaborative objectives on international volunteer programs tied to the UN SDGs to create meaningful group programs? Explore different approaches to building short- and long-term volunteer programs that are effectively aligned to the UN SDGs and how the impact can be measured. What do a business school, a study abroad department and a research institute have in common? Learn how Miami University’s FSB, University of St. Thomas and Purdue University have incorporated the Sentio Global Competence Certificate as an innovative, scalable means to engage virtually, develop global competence and grow global citizens. This poster presentation will focus on the Gira Mundo (Portuguese for Spin the World) scholarship-based program, funded by the Brazilian Government of the State of Paraíba, and implemented by AFS. It will use the Gira Mundo program as a case study for successful youth empowerment in public education and international exchange. Sentio is an award-winning international, non-governmental, non-profit organization that provides intercultural learning opportunities to help people develop the knowledge, skills and understanding needed to create a more just and peaceful world. It was created as a subsidiary of AFS Intercultural Programs, Inc. (“AFS”) and has partners operating in over 50 countries. 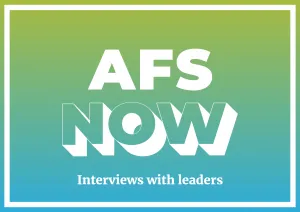 Join us for thought-provoking interviews with leaders from various fields at the AFS NOW. In this interactive workshop, UNESCO Mahatma Gandhi Institute of Education for Peace and Sustainable Development (MGIEP)’s Libre team will take participants, mainly primary and secondary school teachers, through the Libre curriculum and pedagogy for global citizenship. UNESCO MGIEP’s Libre is focused on designing a curriculum for ‘Social-Emotional Learning (SEL)’ based on neuroscience research which shows that social and emotional learning enhances all learning. With the help of an in-house digital platform, and using global issues (violence, migration, democracy etc.) as the backdrop, the workshop will engage participants in participatory exercises on learning, as well as imparting, the socio-emotional skills of mindfulness, empathy, compassion and critical inquiry in learners. This workshop will focus on Professional Learning Communities (PLCs) as an approach to delivering global citizenship education. The session is based on the experiences of University College Leuven Limburg and the Belgian Development Agency, which conducted a research in secondary schools and teacher education. The session provides information on the key features of PLCs; discusses cases from the participating schools and facilitates an exchange of ideas on the design criteria of a transformative approach on class and school level. In this interactive workshop, we will try out and discuss activities, processes and samples of classroom language that promote community building in both classrooms and staffrooms. Creating and maintaining cooperative and empathic communities may be one of the first steps in developing competences that are in line with 21st century expectations from students. An educational institution’s commitment to global competence does not only show in its content and curriculum for their students. Equally – or more – important is the organizational culture, environment, human resource strategy and core values. This session will focus on the management’s vision towards fostering a conducive organizational environment for global competence learning. Outlining the four steps that ensure an institution’s focus on global competence delivery through staff, service, curriculum, and culture. Panelists will discuss challenges and key learnings from two award-winning projects by Türk Kültür Vakfı (AFS Turkey) and share tips on sustainable initiatives that bring intercultural learning opportunities to teachers and students. First, Spectrum of Education is a best practice, unique conference format that allows teachers, local volunteers, academicians, experts, and local artisans to interact in both non-formal and formal thematic setting. Second, Türkiye Kardeşleri is a special 10-day fully sponsored, approved by the Ministry of Education, domestic exchange program targeting underserved youth. The participants of this session will learn about a unique eight-day program of the Amsterdam School of International Business (AMSIB) and Momoyama Gakuin University in Japan which stimulates intercultural interactions and understanding between the Dutch and the Japanese students. As an alternative to traditional study abroad, this program is a clear success story, with more Japanese students coming to the Netherlands on study abroad programs and significantly improving their English language scores. The session will demonstrate what we can learn from implementing university-wide internationalization, and generate ideas that the session’s participants can use at their own institutions. Participants will learn to identify major global competencies and how to foster them through the undergraduate curriculum. By assessing all undergraduate students on world knowledge questions and an intercultural engagement index, and comparing five global competence scores, we will show the difference between international students and U.S. students with and without an education-abroad experience, as well as which global competence score increased by academic level. Join us for the innagural AFS Global Awards Ceremony as we recognize and celebrate the most innovative practices in global competence education and the global citizens behind them. Scaling up successful intercultural learning programs is not easy or happening quickly enough. This session will define how to scale, replicate and multiply the most successful practices across different contexts, education systems and training environments. A keynote address and two panels will explore key competences, strategies and tools that educators and facilitators require to successfully foster global competence. Join us for thought-provoking interviews with leaders and innovators in various fields as we discuss how we can create an urgent agenda for global competence education. Our guests Andrea Juhos and Soraia Lynch will join Melissa Liles, Chief Global Engagement Officer at AFS Intercultural Programs to discuss how philanthropy, and corporate social responsibility relate to global competence. Kathleen Martinez – Senior Director, Office of Diversity & Inclusion, BP America Inc. The UN Sustainable Development Goals (SDGs) and global competence together provide a powerful framework to help students take action locally for global impact. This interactive session builds on this idea and approaches to curriculum creation through design thinking strategies that will illuminate the connections between global competencies and the SDGs. Participants will become curators and creators as they collaborate to apply what they have learned to develop meaningful learning experiences for their students. YFU will present best practices of “Coloured Glasses” workshops, fostering intercultural learning and global competence for pupils, and the adaptation process it underwent to reach out to the new target group: teachers and youth workers. Participants will be involved in dynamic conversations around the most-needed competences to operate in intercultural environments, synergies between formal and non-formal education, and the effectiveness of different tools and methodologies used for the development of global competences and teachers’ empowerment. This workshop will provide a hands-on experience with a free set of tools/resources (such as a global competence survey, associated student courses, teacher toolkit) which have been developed within an EU Erasmus+ Programme to advance global competence for students between the ages of 8 and 19. On top of exploring these resources, we will discuss emerging issues which hinder/support the use of such tools/resources in different international contexts. Through a workshop approach, participants will learn about current research on the effective and sustainable implementation of an intercultural strategy in a primary-middle school setting in New Zealand. Participants will reflect on and analyse their own school’s practices and their intercultural strategy. Practical examples of successful initiatives will be shared. What happens after your exchange program or first international job? It’s insufficient to say, “I speak German” or “I lived in Ghana” or “I’m on a global team.” “Capitalizing on Your Intercultural Competence for Professional Development” will enable recent graduates and seasoned professionals alike to compellingly articulate their intercultural competence and accomplishments in networking, resumes and job interviews that will leverage these talents to design exciting international careers and promote global diplomacy and dialogue. At Celtic English Academy, we recognise teachers can be key to positive intercultural learning. In this session we will present the features of our Teacher Development program for non-native speakers of English which helps teachers improve their own practice and exchange ideas, whilst gaining exposure to the British classroom. We will highlight the learning outcomes of Celtic’s Teacher Development program, exploring how the values of global competence are embedded in this course so that educators can be empowered to foster global competence in their teaching. This presentation will discuss Purdue University’s Global Competence Initiative and steps taken to implement training and assessment into the engineering curriculum. It will provide an example of a unique program implementing global competence training and assessment techniques. Data showing impact on intercultural growth will be provided. A successful program alum will discuss industry needs for globally competent employees, as well as his experience in providing professional opportunities aimed at developing a globally competent workforce. Digital technology allows for new ways to connect people from all over the world: how can we successfully foster global competence through online interactions? What is the experience in this field? What are the learnings from the last 15 years of practice in virtual exchanges? This panel will explore these questions with representatives of some major initiatives in the field. This active and engaging session will explore the ways in which teachers can use dialogue to create a safe space to explore questions of identity, beliefs and values with their students using the pedagogical tools of the Generation Global programme. Participants will come away with an awareness of a range of tools that they can use to deepen their students’ skills and help them to navigate diversity. This session will demonstrate the advantages students have when they study in high schools that support global competence development, participate in youth development NGO programs or study abroad program and what impact that has on their self-confidence, open-mindedness, and readiness to embrace challenges. The research study conducted in Macedonia which also analyzed the results of the PISA 2018 Global Competence Questionnaire found that the students’ entire approach to the learning process in general changes considerably due to the valuable experience they gain in the process of learning about other cultures and societies. What is creativity? Can you teach it? Can you teach it to Science, Engineering, Math and Technology (STEM) professionals (or students or educators)? How does it relate to intercultural competence? Can teaching creativity help us to nurture culture-crossing motivations among those who doubt its importance? This Idea Date will discuss some activities which the author has devised to attempt to do so, and practice ways of overcoming resistance to intercultural competence using these techniques. Konnekt Mentorprogram believes in young people that are inspired to have an impact on their local and global communities, and that are eager to educate and empower others to improve their potentials. Their program aims to connect young people to students with a different background, perspectives and stories in order to support them in discovering their skills and potentials and making a more conscious decision about their future. Get to know people involved in this mentorship program and learn more about their best practices. This panel will present World Youth Council’s Human Dignity Curriculum and demonstrate how it has been implemented in different countries and cultures. Human Dignity Curriculum teaches young people ages 4-18 about personal identity, emotional intelligence, and human excellence. This approach builds on educational research which found that long-term behavior and attitude changes, as well as the adoption of healthy lifestyle values and choices, are rooted in the development of a strong personal identity. Participants will explore how to replicate the Human Dignity Curriculum in their schools. Using the Inspire Citizens Planning Framework, this session will explore ways to create courses that lead to impact in line with the OECD PISA global competence indicators, Sustainable Development Goals, disciplinary standards, language objectives, cultural proficiency opportunities, and effective formative assessment strategies. The participants will experience and evaluate a simulation emphasizing the power of empathy as a necessary element for student development in order to build a culture of caring, a desire for awareness, a curiosity to develop problem solving skills, and a call to action. This workshop is targeted at institutions struggling to identify the reasons to invest in intentional global competence programs for study abroad participants or for internationalization-at-home purposes. The participants will work in an interactive setting to (1) identify resistance factors which impact organizational change and to (2) formulate action plans. Global competence requires going further than simply preparing individuals linguistically; it requires an environment, along with experiences, that nurture students as rounded cultural beings, equipped for our globalised world of today. With Celtic English Academy’s Junior Summer Residential Program as a case study, we’ll showcase how we develop students inside and outside of the classroom, taking them on a journey of intercultural navigation. We’ll put you in the shoes of a 12-year-old too! Utilizing multiple experiential learning mediums and physical movement, this workshop will detail Peace Corps’ journey and approach to integrating intercultural competence, diversity and inclusion. Peace Corps’ diverse team will share some of its innovative training practices in integrating intercultural competence, diversity and inclusion and share how it utilizes these to foster intercultural competence, diversity and inclusion among its global workforce and volunteers in 65 countries. Over the past decade, AFS Intercultural Programs has transformed its many decades of experience in operating student mobility programs into tangible intercultural learning resources which can be used to enhance a diverse range of student mobility programs, including those not delivered by AFS. 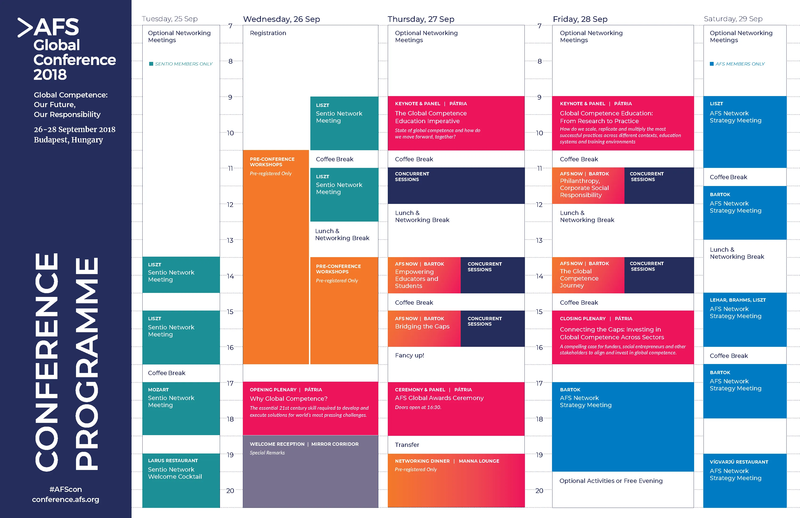 This session examines a number of Australian case studies in which AFS intercultural learning resources have been used to ‘scaffold’ student mobility programs delivered by other suppliers and up-skill facilitators of these programs. Studying abroad is known for its role in building intercultural competence. Immersive diversity experiences – bringing highly diverse cohorts through deeply intensive experiences – are less common but also powerful for building cross-cultural leadership skills. In combination, these complementary experiences may work to deepen competence in even more profound ways. In this session we will hear and consider perspectives from professionals with experience in these approaches, and explore promising areas for more experimentation, practice, and research. The “learning to live together” movement advocates for more people to be prepared to live, study, work and volunteer effectively in diverse communities and workplaces at home and around the world. Panelists in this session will present a compelling case for funders, social entrepreneurs and other stakeholders to align and invest in this crucial mission.